anjelique: Vlogmas Fail & I GOT SNAPCHAT! If you were watching out for my really exciting announcement over on my Facebook Page earlier this week, you will already know that I am participating in Vlogmas this year! For those of you who may be unfamiliar with the concept of Vlogmas, don't you worry... I go into detail in my video below so watch out for that! It has been a pretty uneventful week for me, it started off decorating the house with Christmas ornaments and study but the great news is... I opened up a new snapchat account! 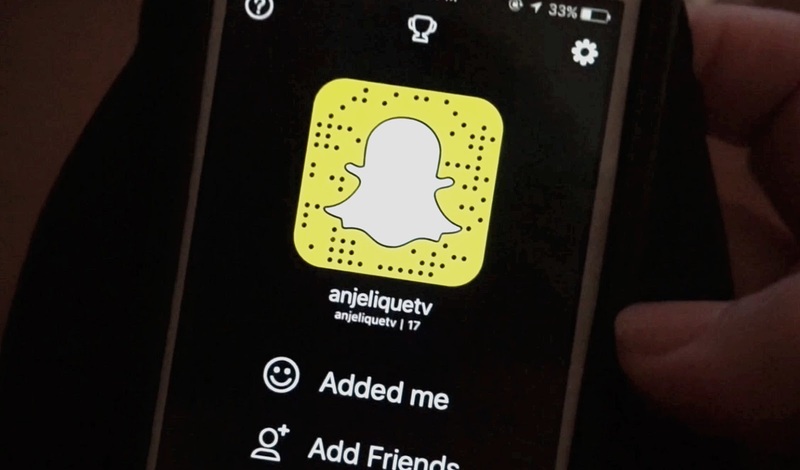 Make sure you add me as 'anjeliquetv' and leave me your usernames below in the comments so I can add you back! 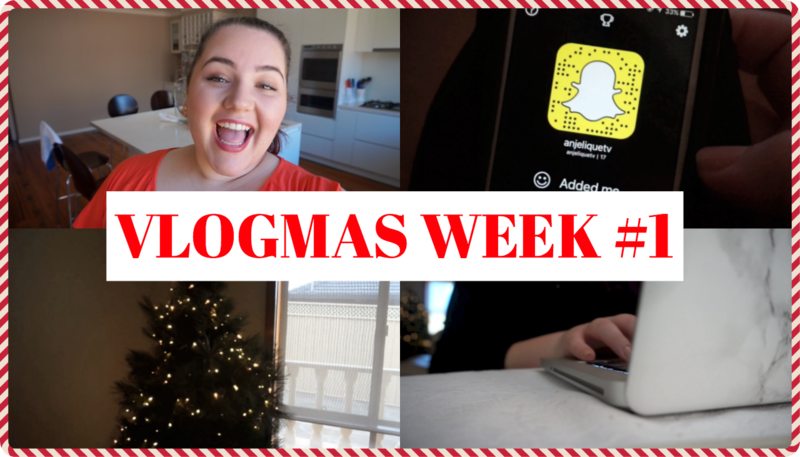 So without further ado, here's my first installment of Vlogmas! Incase you did miss the announcement, I will be uploading an extra video a week, every Friday in the lead up to Christmas! Now there's two days where you can get your fill of Christmas cheer. 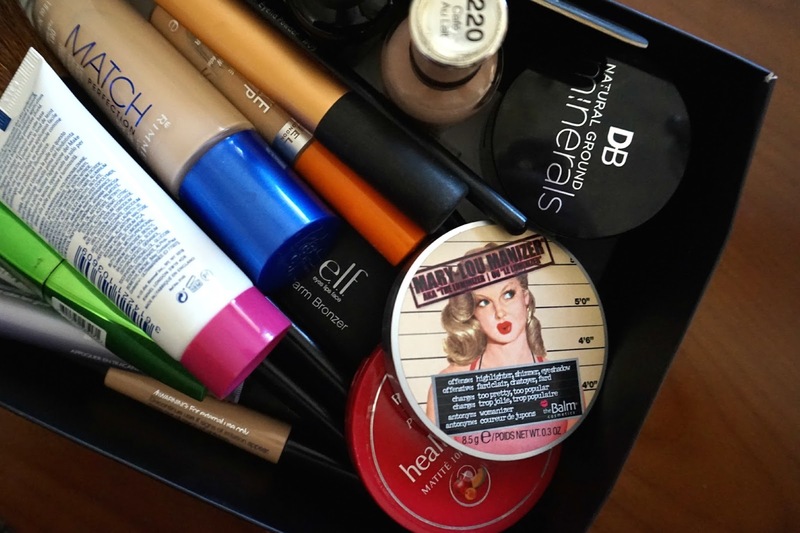 Oh shush you! Seems like everyone and their dog has SnapChat except me. LOL! I am so tempted to check what all the bloody fuss is all about but I can't deal with another social media. LOL! I totally get you, it all seems a bit too hard sometimes but I think it's a fun way to share some snaps and video of your day as it happens! Haha it's so pretty with all the glitter! Your vlog is so fun! Great decos! Thanks so much for watching Tamara! Thanks so much Gabrielle! Aw such a shame I hope you can come back and watch it another time! haha that's awesome! You are super cute! Nice Christmas tree! Have an amazing weekend! Aww thanks so much, I hope you had a lovely weekend! Aww I loved your vlog! You made your house look so pretty and festive too. Also your tree is gorgeous and looks really good with just the lights and the glitter - but I know it wouldn't be complete without the baubles lol.